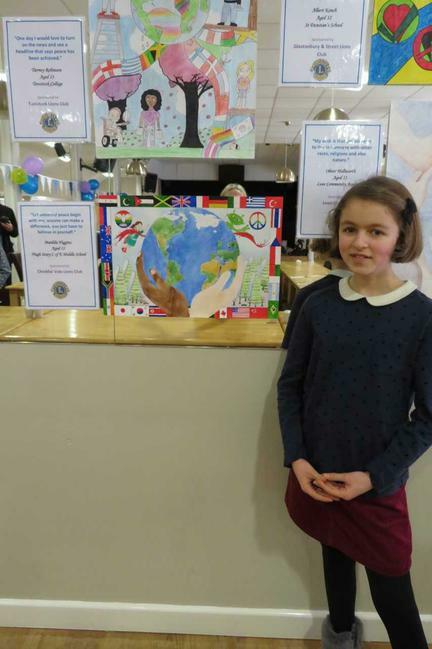 Congratulations to Matilda H whose poster has been chosen as the winner of the Lions International Peace Poster Contest 2017-18 at Hugh Sexey C of E Middle School. Well done also to the two Runners up, Suzanna F and Beth W and to all of the pupils in Year 8 who took part in this annual competition. 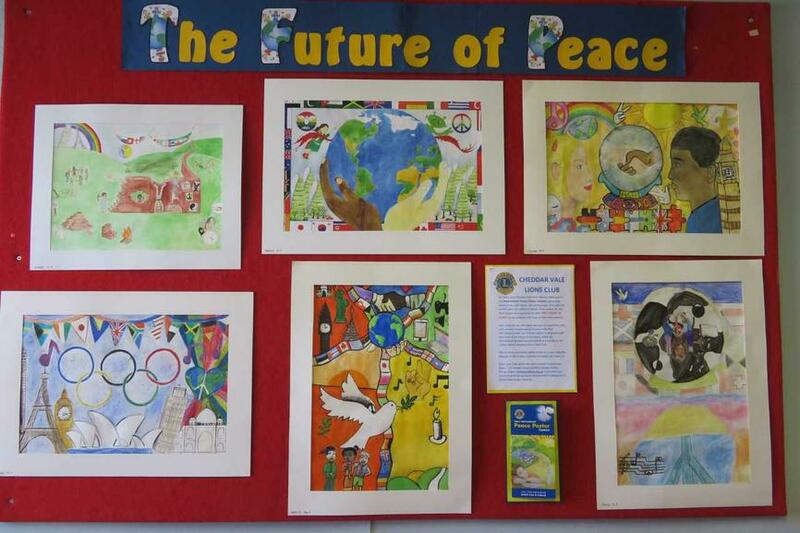 The posters are judged on their originality, artistic merit and portrayal of the theme, which this 30th Anniversary Year was “The Future of Peace”. The judges were particularly impressed with the many thoughtful ways in which pupils had expressed the theme. 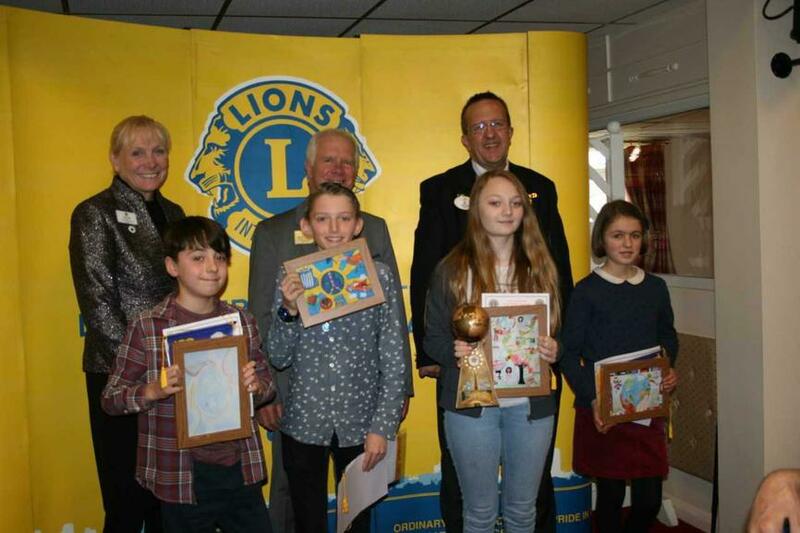 The President of Cheddar Vale Lions Club presented Matilda, Suzanna and Beth with their certificates and prizes at an assembly in the New Year. 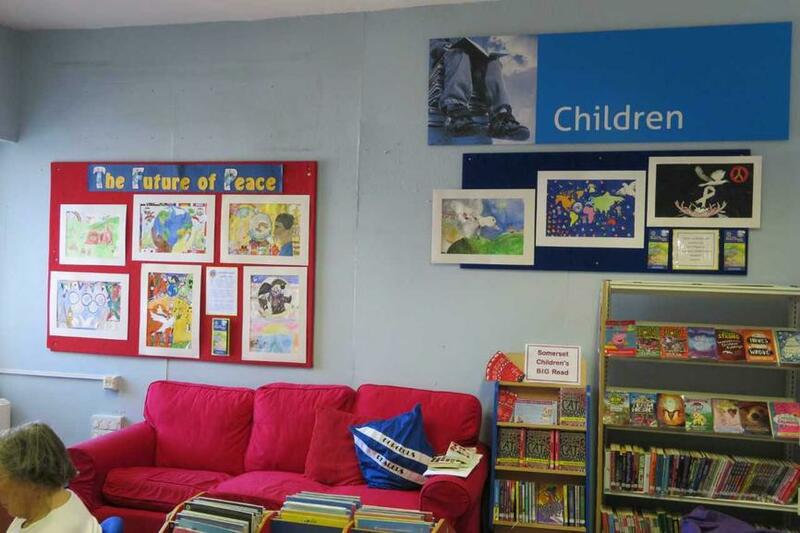 All of the posters entered for the contest by students at Hugh Sexey C of E Middle School are now on display in Cheddar Library until the middle of June.